UW-Milwaukee’s School of Architecture & Urban Planning (SARUP) is a vibrant community busy exploring opportunities for making, planning, and building. Approximately 600 students at both the undergraduate and graduate levels engage in real-world problem solving while also inventing approaches for projects yet to be imagined. Whether you are creating the future or working to change the world today, SARUP provides the space and faculty to support your agenda. If you believe in making your neighborhood, city, and the world a better place, then SARUP is your type of school. Our physical world is constantly changing as our culture and society evolves. To keep pace with that change, we strive to educate leaders who challenge conventions and invent new methodologies. To effect change, engagement with stakeholders is essential. In dialogue with neighborhood leaders, your peers and teachers are active in advocating for better places. Housing, green infrastructure, grocery store locations, transportation options, and so many other factors make our city livable. Over the years research findings, student projects, and community meetings led by SARUP have transformed our region. Many regular course offerings experiment with technology and resources to address energy, economic, and resource issues. 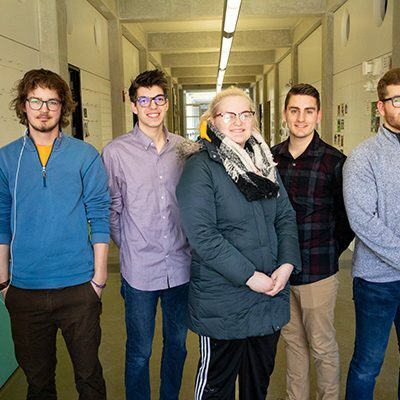 SARUP has teamed with student engineers at UW Madison for the Race to Zero Competition and is entering the international Solar Decathlon in 2016. Every semester, faculty offer courses that engage real clients on real sites in Milwaukee and the region. Past examples include planning and architectural proposals for the Inner Harbor, Bronzeville, and Washington Park. Students in the School’s Community Design Solutions office provide design advocacy services for the region. Another opportunity for engagement is with the Field School, a multi-disciplinary program working to record neighborhood narratives. Opportunities for engagement and leadership abound with a wide variety of student organizations as well. Launch your career at SARUP. 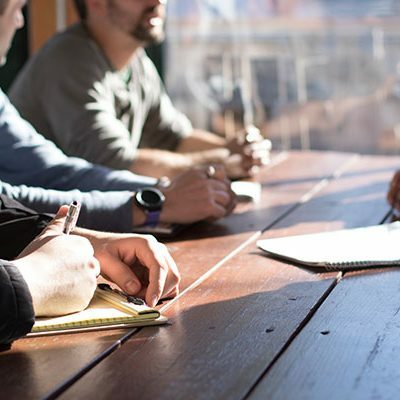 There are multiple ways to build your professional network, including internships, externships, interview days, mentoring, and more. This is a great time to begin your career designing and planning our constructed world. As a planner or an architect, your skills are in high demand. Current projections by the US Department of Labor show 7% growth for the next decade in architecture, and indeed we are facing a shortage of architects. Those statistics are backed up by the pace SARUP graduates are hired. Typically, at graduation over 50% of students already have a job and 90% are working within a few months after receiving their diploma. Future employers are engaged in your education. You can network with local and nationally recognized practicing architects who guest lecture in the classroom, review your work on juried exhibitions, and attend school events. The School offers an extensive array of career resources, including an interview day and externship opportunities. You can even be employed for your design skills in the School’s Community Design Solutions office while you’re a student. 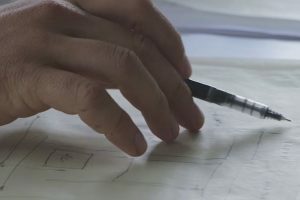 A degree in architecture or planning can be a robust path into many different fields, including retail, photography, public and community service, product design, business, graphic design, or real estate. Many allied fields value the creative problem-solving skills that are the foundation of our curriculum. Your teachers are internationally recognized architects, planners, and scholars creating a dynamic culture of creative inquiry. In addition to distinguished full-time faculty, the Dean invites award-winning professionals to participate in the School every year. We are fortunate to have the partners of Johnsen-Schmaling, an AIA award-winning practice, teaching a graduate level studio every fall semester as the Fitzhugh Scott Distinguished Professors in Practice. 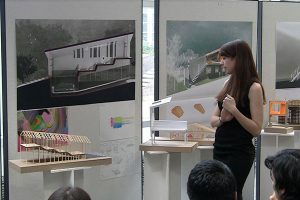 Events such as MasterCrit, Marcus Prize, and the Urban Edge Prize have introduced students to world-famous architects. SUPERJURY is dedicated to reviewing the best student projects. 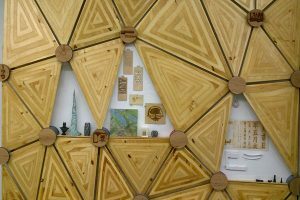 The Marcus Prize is a biennial award recognizing the talent and achievement of emerging young architects. Past winners have included Joshua Prince-Remus of REX, Diebedo Francis Kere, Sou Fujimoto, Winy Maas, and Alejandro Aravena. In addition to receiving the prize, these distinguished professionals teach in a graduate level studio during the semester. The Urban Edge award recognizes excellence in urban design and the ability of individuals to create major, positive change within the public realm. Past winners have included Weiss-Manfredi, Frank Barkow, Elizabeth Diller, Chris Reed, and Julie Bargman. Past winners have shared their expertise through symposia, design-build projects, and studio consulting. 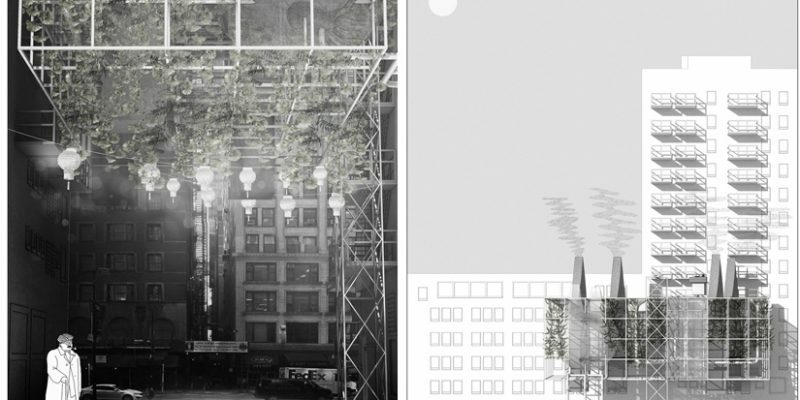 MasterCrit is a new initiative for a group of graduate students to work on a short workshop project under the direction of cutting-edge architects. Most recently, Andrew Zago and MOS architects have worked one-on-one with students investigating domesticity. SUPERJURY is an all day event dedicated to reviewing the best student projects, discussing issues pertinent to architecture and architectural education. If you like creating, then dive into our culture of making with world-class digital prototyping and shop facilities — anything you imagine can be built. Besides imagination, creation requires space to experiment, take risks, and practice one’s technique. Whenever you’re taking a studio course at SARUP, you’ll get your own desk with space for drawing, making models, and whatever else you conjure. Besides the extensive resources of a R1 Research University at your disposal, you can also just run downstairs to use a laser cutter. At SARUP, you have the convenience of a dedicated photo lab, library, art supply store, and complete 2D and 3D output services all under one roof. Our light-filled building is open on a 24/7 basis so you can work on projects when it is convenient for your schedule. Whenever you’re signed up for a design studio course, you will be assigned a personal desk space for drawing, model-making, and studying that is yours for the semester. Located in our own building on UWM’s campus, SARUP students have exclusive access to a vast array of resources. In addition to a well-equipped conventional wood shop, the prototyping lab has 3 CADCAM mills, 3 laser cutters, 12 plastic-based maker-bots, a vacuum former, and a fabric cutter.